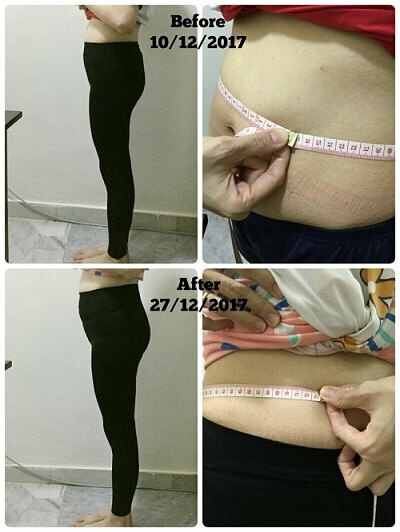 In this article, I thought of sharing what I found to be the best weight loss pants you can buy in Malaysia. The conclusion is based on my personal experience wearing the pants. I am sharing my experience here with all of you. 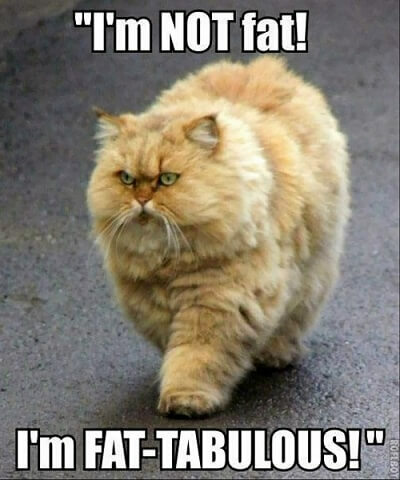 Firstly, I am not a fat person. But after I gave birth to my second daughter 4 years ago, my tummy becomes more and more flabby and my buttock has become flat. Please don’t get me wrong, my husband don’t mind my body figure, but being a woman, I do mind. It made me feel self conscious. Can you imagine how sad I was at that moment? I don’t feel like wearing Cheong Sam during Chinese New Year and definitely no more bikinis for me when we go swimming by the pool. All those slim fit dresses and clothes are not in my list which I used to wear before I had my first pregnancy. I wore mainly loose T-shirt all the time in order to hide my unpleasant body figure. Beside my flabby tummy and flat buttock, I was also having constant lower back pain, shoulder pain and leg cramps from breastfeeding my youngest daughter for 3 years. I can’t stay standing for long period of time due to my back and shoulder pain. Normal house chores such as washing dishes and cooking sometimes become unbearable. I often have leg cramps whenever I do a lot of walking. Sometimes, went I am out shopping with my family, the cramps are so bad I can’t even walk. But I have always comforted myself that my body figure and health issues will improve and reduce once time passes by. Unfortunately, things didn’t improve much after 3 years. To be honest, I have been searching the slimming products for my flabby tummy. I tried slimming tea after I stopped breastfeeding my first child. The slimming tea would help to detox my body through regular daily trips to the toilet to pass motion. By detoxing my body, I hope to flatten my tummy and lose weight at the same time. However, I soon realized that slimming tea is not a long term solution because I was afraid it might have bad side effects. 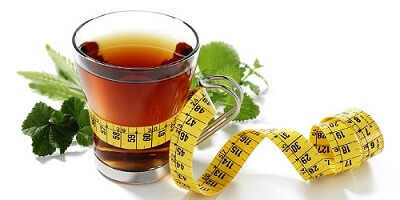 Do you know what happened when I stop consuming the slimming tea? OMG, I had very bad constipation because all the while I had been relying on the slimming tea for passing motion. Constipation is clearly a bad side effect when I stopped drinking the slimming tea. For my back and shoulder aches and cramps, I went for massages session but the effectiveness lasted only for a couple of days. I have also tried body shapers available in the market and YET no improvement. Things were getting from bad to worst. At that point in my life when I was feeling lost and depressed, I met a friend online and she recommended to me this wellness and health garment called Aulora Pants with Kodenshi. At first, I doubted the effectiveness of this pant and yet I wanted to give it a try. My friend told me that the slimming pants sold more than 20,000 units in the first 100 days in Malaysia. When so many people have bought the pants, it HAS to work, right? That was what I was thinking at that time. In the end, I made my decision and placed an order for 2 pairs because there was a twin pack promotion. 1 pair for me and 1 pair for my mom. I waited for 20 days before the pants was delivered to me. I put it on immediately. I was quite surprised how comfortable the pants was. It is breathable and smooth. I was advised to wear the pants for the whole day. Yes, 24 hours a day for the first 2 weeks to maximise the result. The only time I am not wearing the compression pants is when I was in the shower and when I had to wash it. After 2 weeks, I managed to get the following results which really amazed me. My flabby tummy was flatten and toned up. Now, I am able to wear my favourite slim fit dresses, clothes, and even slim fit jeans. The pictures below show the results after wearing the pants for the first 2 weeks. 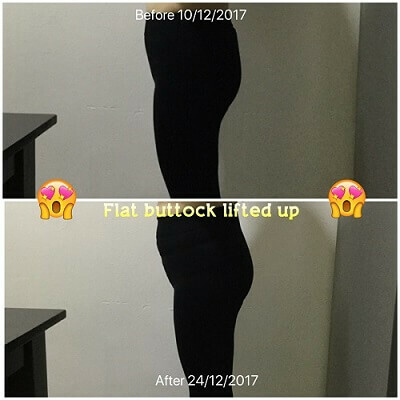 My flat buttock was lifted up which allows me to have a better and nicer body shape. All this while my buttock was flat and I tried applying firming lotion hoping to lift it up. The lotion didn’t work for me. I did try cycling exercises, but not consistent due to too tired after doing household work. Usually I will doze off on the bed after putting my two little girls to sleep. 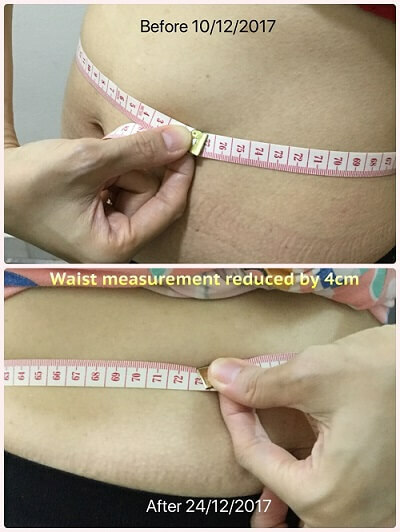 As a bonus, my waist measurement was reduced by 4 cm. That was not my main goal when I decided to buy the pants. I only wanted to tighten my flabby tummy and lift my flat buttock. I am not a fat person as I mentioned in the above but I still manage to loose 1 kg. My weight dropped from 46 kg to 45 kg without doing any exercise or changing my diet. I ate as usual with 3 meals (with carbs) per day. After wearing the legging from Japan, I don’t experience anymore back and shoulder pain. I can stand in the kitchen to prepare lunch and dinner for my family without having to experience any back and shoulder pain. No more leg cramp whenever I do a lot of walking. I don’t have constipation problem anymore. But I have to say that after wearing the pant, I can easily go to the toilet to pass motion. Now, I can do it twice a day. Before this, I can only pass motion only once a day after having breakfast. Because of all the positive results above that I’ve experienced personally, in my view, the slimming and compression pants from Japan works for me. It is simply amazing and I love it! I was skeptical at first, but now I am a believer. “Wearing Is Believing”. All of us have different body type, metabolic rate and also different lifestyle. The only way to know for sure it so try it.